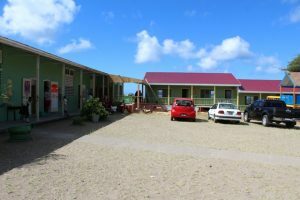 The expansion project at the Ivor Walters Primary School which commenced in mid-August, is just one week away from completion and Hon. Spencer Brand, Acting Premier of Nevis and Minister of Public Works, is expressing satisfaction with the venture. 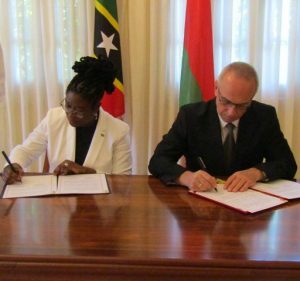 The Government of St. Kitts and Nevis and the Government of the Republic of Belarus signed in Havana, Cuba, an Agreement on Mutual Abolition of Visas, on October 19, 2018. Mr. Taro Kono, Foreign Minister of Japan invited Hon. 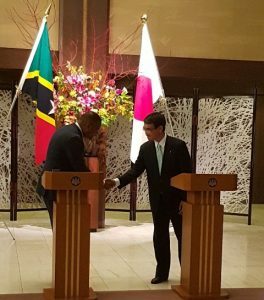 Mark Brantley, St. Kitts and Nevis Minister of Foreign Affairs to engage in bilateral discussions at a working dinner in Tokyo during his visit to Japan. 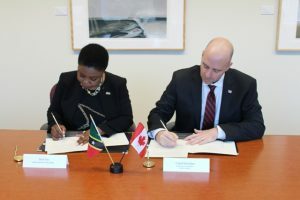 At a signing ceremony in Ottawa, Her Excellency High Commissioner Sherry Tross and Dr. Benoit-Antoine Bacon, President and Vice Chancellor of Carleton University inked a Memorandum of Understanding (MOU) to pursue collaboration in education, research and capacity building, and to promote bilateral and international understanding. 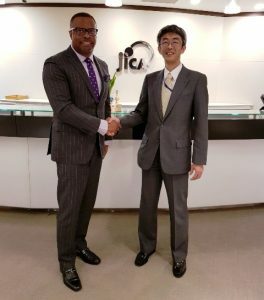 It was a busy day of engagements for St. Kitts and Nevis’ delegation to Japan, led by Hon. Mark Brantley, Minister of Foreign Affairs and Aviation on November 02, 2018.